I have a fear of water. You will never see me voluntarily hanging out in deep water. I’ve been in boats, I’ve been in pools, but I no longer frequent lakes and definitely don’t go in the ocean. I guess that’s why I had no problem living in the Midwest, far from the oceans. But it wasn’t always that way. I used to be a fish! I didn’t do a lot of activities outside of my backyard as a kid but mom and dad did send us kids to the local lake for swimming lessons. I honestly can’t remember how many years we went. It could have been one season or several. I just remember loving the water. I remember swimming out to the dock. I’m not sure how deep it was, but I know I couldn’t touch the bottom. It was probably 25-50 feet deep and we weren’t even allowed to attempt until we passed a test for distance and endurance. But when you made it to the docks, that was where the fun happened! I’d dive off the dock, float in the deep water, rest for a bit on the dock and do it all over again. And the best part was that my sisters couldn’t follow me! We had a pool in my backyard. It was an above ground pool and not big enough to do any fancy dives or whatever, but I spent a lot of time there. I’d swim laps and teach my little brother to swim. I loved that pool. It hardly reconciles with the scaredy cat me that loathes water now. But this was all before “it” happened. What changed me? Well, it was a sixth grade trip to a state park. I don’t remember much from that trip but it was some sort of outdoor education trip. I really only remember the lake. How I looked forward to the time at that lake! I swam out to the dock, did my usual diving and floating and had decided to rest a bit on the dock before heading in. The water was probably close to 75-100 feet deep. I was sitting at the dock edge with my feet in the water when someone pushed me from behind. The push was a sort of thud on my back which took my breath away and sent me into the water without air. I sunk. I don’t remember swimming, or flailing. All I remember was being dragged down, then remarkably, up. We had a cute principal. (I think it was the principal…could have been a cute math teacher). Anyway, all the girls liked him. And what I remember is him leaning over me asking if I was alright. He was dripping wet. I knew it was he who saved me. He didn’t have the proper safety gear like a lifeguard. But he risked his life to retrieve me from the water and save my life. He even took me back to shore in a boat he flagged down. Poor guy lost his glasses in the process too! I was embarrassed. I felt humiliated. But I was grateful that he saved my life that day. I wouldn’t be here now if it hadn’t been for his heroic deed. So what does this story have to do with this blog? Simply this: That teacher did for me what Jesus does for us all, only Jesus saves us from a lot more than death by drowning. 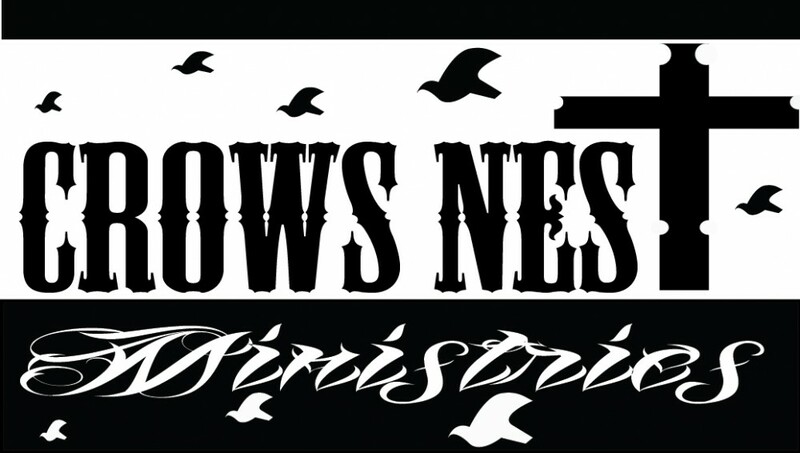 Jesus is the guy in the crow’s nest. (If you don’t know what i am talking about, read the about page on this site). He is constantly looking out for us, especially those of us in too deep and in danger of drowning. We might think we are okay, but all of us are in danger of going under unless He’s got us in His grip. He is the only one who can pull us from the waters of this crazy life and put our feet on solid ground. And He does it by jumping in the water for us. He grabs hold of us in the storms of life and brings us to safety in Him. Most of us probably don’t even realize we are drowning. We’re just busy living life. But before we know it, we get pulled under the waters: of debt, illness, infidelity, success, failure, you name it. We can try to save ourselves. The world tells us that we can. But ultimately we can not. On our own, we flail. We sink. And we need a Savior. Someone to jump in for us. That someone is Jesus. He’s in the crow’s nest watching for you. He’s ready to jump in to save you. Will you let Him or will you push Him away and allow yourself to drown? I was saved by a cute teacher/principle in 6th grade and that was good. I was still alive, physically. But my real saving happened years later when Jesus took me as His own and saved my life. What a different life I have now! He’s been healing me from the inside out. And I think I might be ready to tackle the water again. Maybe, the shallow water to start. What about you? Are you ready to be pulled from the water? This entry was posted in Uncategorized by annebremer. Bookmark the permalink. Thanks for pushing me along…love where I’m at now! Thank you Aunt Eileen! Glad you get something out of our posts. Keeping you and the family in my prayers. You are always on my heart. God bless.